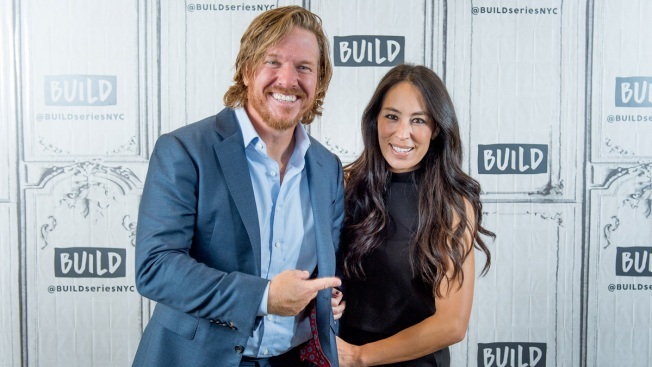 In this Oct. 18, 2017, file photo, Chip and Joanna Gaines discuss "Capital Gaines: Smart Things I Learned Doing Stupid Stuff" and the ending of the show "Fixer Upper" with the Build Series at Build Studio in New York City. It's going to be an exciting year in the Gaines household, as "Fixer Upper" stars Chip and Joanna Gaines had some big news to share with their family and friends Tuesday night. As it turns out, they are expecting baby No. 5. "Gaines party of 7," Chip Gaines wrote to his Instagram followers. "(If you're still confused.. WE ARE PREGNANT) @joannagaines." In the announcement, Joanna Gaines debuted her baby bump in a gray sweatshirt. As for Chip, he had some fun of his own while wearing a matching T-shirt. The famous duo are already proud parents to two sons and two daughters. But according to a few Twitter hints earlier in the evening, fans were reminded that another baby certainly wouldn't be a bad thing in this household. "Everyone tune in now for tonight's #FixerUpper! We've got some BIG news to share.. hint #1," Chip shared on social media. "Hint #2. Airing as we tweet #fixerUpper." He added, "Hint #3 You might recall a few months back.. the ever amazing, ever romantic @JOHNNYSWIM was in Waco. And they put on a little too romantic of a concert.. anyways, one thing led to another, &we are officially pregnant. And I could not be more EXCITED! #5 #7ThePerfectNumber." The family news comes as the couple prepares to say goodbye to their HGTV show after its fifth season. 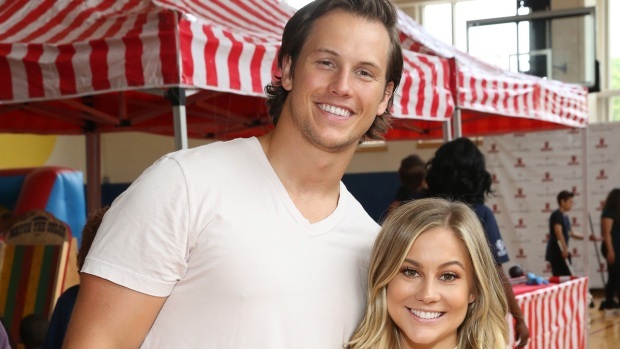 "I think for us we felt that season five was just the perfect end to this beautiful chapter, but really the why is time, you know," Joanna previously shared with E! News. Chip added, "Time with our family is the most important thing to us...We are pretty headstrong and when we feel like it is the right decision for our relationship, for our family, for our business, it would take an act of Congress to knock us off that position." And while another baby in the house could make things even busier, fans of the couple can still get their fix of the Gaines crew. Between new cookbooks, a partnership with Target and more projects lined up, these two HGTV stars are giving fans a whole lot to look forward to.